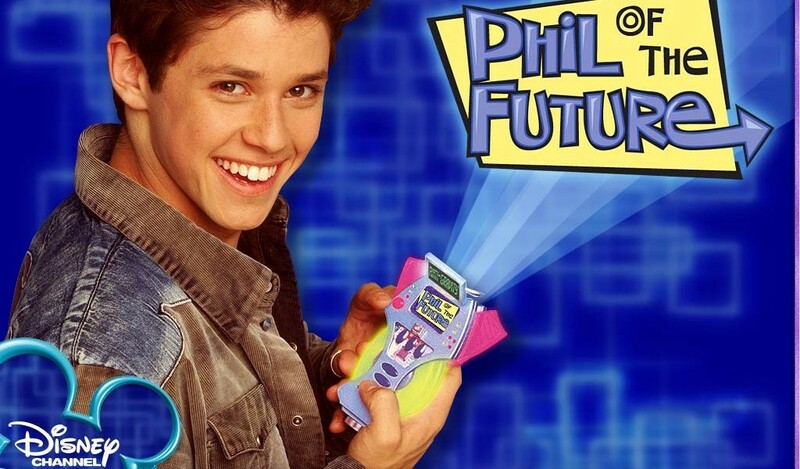 Phil of the Future (television) A Disney Channel original series; debuting on June 18, 2004. Also aired as part of ABC Kids beginning in fall 2004. Phil Diffy, a teen from the year 2121, gets stranded in the present day when his family’s time machine malfunctions during a vacation. Phil has to handle universal issues like being the new kid in school and making friends, while also needing to learn how to get along in a new century and keep his family’s future origins a secret. Stars Ricky Ullman (Phil Diffy), Alyson Michalka (Keely Teslow), Craig Anton (Lloyd), Lise Simms (Barbara), Amy Bruckner (Pim), JP Manoux (Curtis).